Not only did we enjoy this pudding for dessert last night, we had fun tasting it while we were making it and also were thrilled to have leftovers today. Edited to add: Day 2--When the leftovers were gone, we decided we needed another batch. And half of the second batch was gobbled up within minutes of making it. I think we are on to a new family favorite dessert. 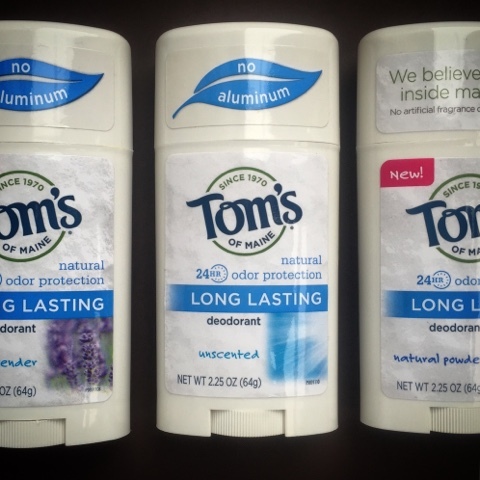 Was it easy to make with readily available ingredients? Absolutely. I used frozen mango chunks from Trader Joe's, instead of the fresh which the recipe called for, which made making this dessert so much easier. Plus, I didn't have to refrigerate it for two hours before serving, because the mango was only partially thawed when I blended the pudding. The only downside to using the bags of mango chunks are that you have to guess just how many chunks would be the equivalent of two mangos. But it would be hard to mess this up. 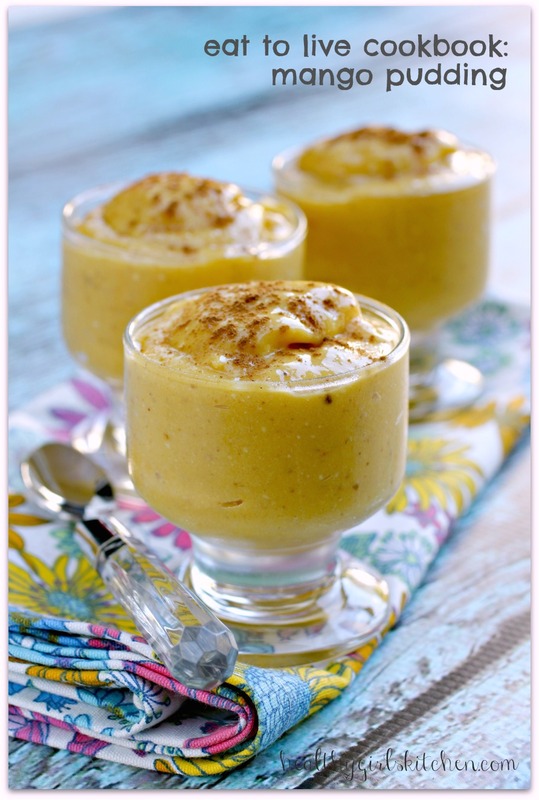 Related Post "Eat to Live Cookbook: Mango Pudding"
Announcing our new menu for May! 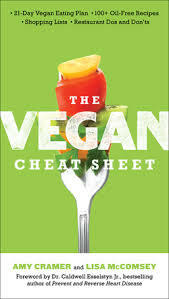 And the Winner of The Vegan Cheat Sheet is . . .